Cornwall Ontario – Over $2M for not one, but two roundabouts in Long Sault Ontario highlighted why most of their council, and those that voted for it via the United Counties of SD&G, should not be trusted with cutlery, never mind an elected seat, after not one, but two fatal accidents closed the 401 Eastbound for most of Friday. South Stormont Mayor, and Zombie, Jim Bancroft was warden for the Counties when this insanity was passed. Ironically, the roundabouts will be what his term of council will be remembered for, going in circles and raising taxes. If an ambulance had to use Highway Two they would have to slow down and navigate both roundabouts and of course trucks would turn them into a nightmare as well. Highway shut down for 24hrs and EDR route in effect through Long Sault.. I BET two 2.2 million dollar THOSE TRAFFIC CIRCLES will help move traffic faster. One source shared with CFN that whoever pushed for this project should be fired and run out of town! Another shared that if the purpose of the roundabouts was to slow down traffic it was a waste of money as the very visible OPP station does that tickety boo. Yet another two reasons not to drive through or even near South Stormont. What do you think dear CFN viewers? 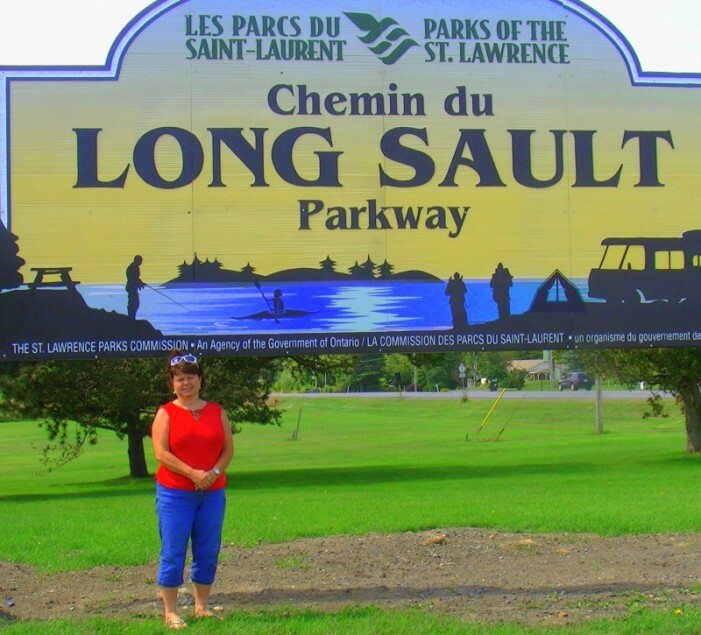 Was it sheer insanity (or corruption) two build the roundabouts in Long Sault? South Stormont residents said they didn’t want these two roundabouts. But again the politicians think they know better. They will pay for it at election time. I see that Tammy is still around riding on her broom. Halloween is not too far from now and I have to keep checking overhead to see her fly above my tower. That is one of Jules’s better ones. I’ve talked to truck drivers in the area, old timers, and they also say that roundabouts are not only unnecessary, but can be confusing and more dangerous for people who have never used them. I personally don’t see what was wrong with the lights at that intersection, and don’t remember and real accidents there. This is why voting is fruitless in any level of gov, they do what they want anyways. Jerry I was just on a site with Canadians and many are saying that voting is crazy because they are all the same and how true. If you listen to old George Carlin on youtube.com you will hear plenty but excuse his vulgar language. Old George Carlin (now deceased) told the truth about many things and I will listen to him later and he was a comedian but told the truth and the people laughing. I don’t understand the opposition to traffic circles, they require little maintenance it slows the traffic and requires no power or continuos service as in traffic lights. They have three of them in kemptville and it been for quite awhile, they don’t have any issues I can see. I’d like to see them here in Cornwall instead The many traffic lights that are on McConnell. 10th st.? Hospital? 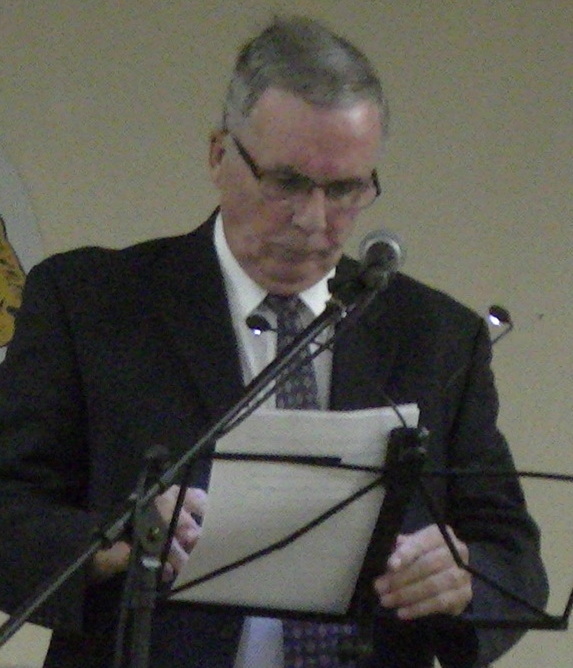 Mr. Mckee it was expressed clearly that Highway 2 is an emergency route when the 401 is closed as it was recently. Emergency vehicles shouldn’t have to navigate roundabouts in an emergency and of course if snarled with traffic it can easily lead to loss of life. In some instances roundabouts can be an advantage. Not on emergency routes. Whoever fought for this or voted for this, in this particular location should be fired. In this case both of those roundabouts are unjustified and not needed. As stated Hwy 2 is an EDR, thus the route should be straightforward. IMHO this is South Stormont council doing what they want, going with the current trend and NOT listening to their taxpayers. Roundabouts are an ill conceived idea and need to be trashed. They may work well in Europe, we don’t live in Europe. Arrggghhhh!!! Admin…Will wonders ever cease, eh? I’ve never liked roundabouts. Most intersections work fine until the city council gets it in their heads that a roundabout would improve things. Yes, no more traffic lights, but more is spent on other maintenance, etc. A perfect stupid example of this is Trim Rd in Orleans…2 stupid roundabouts within 2 blocks of each other. Arrggghhhh!!!!! I just got off Cornwalls laughable Freeloader paper about the airport and a bunch of old geezers around the table talking stupid talk about an airport in S. Glengarry and now about this roundabout in Long Sault. Ottawas roads are a free for all, letting out gas out of the cars mufflers and the noise is unbelievable and these old geezers want an airport and are not contributing. If there is anything spectacular happening on October 31 it may be yours truly flying on her broom over the roundabouts in Long Sault and catching up with Tammy on her broom and heading out to S. Glengarry to scare the living hell out of those old geezers about a stupid airport that they need like a hole in their heads. I have to make an appointment with a mental hospital for all of them. No appointment needed Jules – they’ll take you 100%. According to another local media outlet there was a study done and when roundabouts are installed accidents increase 85% in the first few years. Arrggghhhh!!!!! I’ve heard the proposed Cornwall roundabouts are dead in the water. People using the road make mistakes (like running stop signs and red lights), always have and always will. Crashes will always be with us, but they need not result in fatalities or serious injury. Modern roundabouts are the safest form of intersection in the world – the intersection type with the lowest risk of fatal or serious injury crashes – (much more so than comparable signals). Modern roundabouts are designed for trucks, large vehicles, and trailer towing vehicles by including the center flat area around the circle. It’s not a sidewalk, it’s called a truck apron, and it’s for trucks to begin a sharp right or end a left or U-turn on. But they should obey the warning speed and know their vehicle. Who in their right mind puts not one but two roundabouts on one of the busiest highways in the region? And on a 401 EDR to top it all. The United Counties council need to be reminded that they are there to represent their constituents and vote accordingly. The major of the voters didn’t want these installed, but once again politicians ignored the voters. Election time will tell all. For a group that ran on transparency and fiscal responsibility they have been a pretentiously stupendous failure.